With the sale this morning of its iconic Gears of War franchise, Epic Games felt compelled to say it still is in the business of making video games, not just the technology that drives them. "For people saying Epic isn't making games anymore, we currently have multiple games in development, including [Fortnite]," Wes Phillips, an Epic spokesman, tweeted this morning after the announcement. 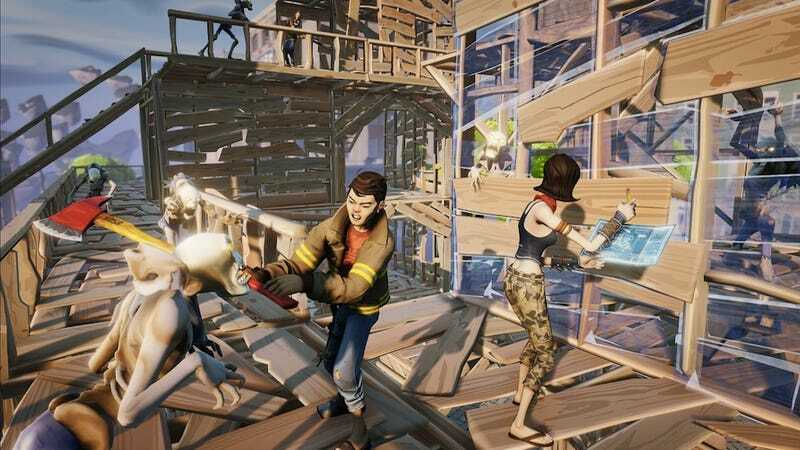 Fortnite, a survive-the-night style crafting game, has been in development at least since late 2011. The Infinity Blade series of iOS titles is made by Chair Entertainment, which is an Epic subsidiary. However, the departure of Gears of War, which Epic introduced in 2006, means the firm's most recognizable current brand is its Unreal Engine, currently in its fourth version. The last title Epic developed for consoles was Gears of War: Judgment, which released in March 2013. The departures of longtime, highly visible figures have also added to the rap that Epic is distancing itself from games. It's not just Rod Fergusson's departure in 2012 to work on BioShock Infinite (Fergusson will rejoing Gears with Microsoft), but also the departure of Gears of War's public face, Cliff Bleszinski, in October of that year. Mike Capps retired as Epic's president a month later.